I used to use this version of Yahoo radio to play songs I chose, and set it to find similar songs so I could expand my awareness. Then they blocked it. A similar site was ‘grooveshark’. A friend mentioned it recently and I got back to it. So, I started the input process, trying to remember what songs I like enough to hear a lot. The interesting bit, to me, was after that. Now I listen to songs I remembered I liked enough to type them in, and I try to remember why? #1 quality? Quirkiness. What’s with that? Why don’t I have a list of my top 50 ‘noble’ and ‘meaningful’ songs. Why quirky? 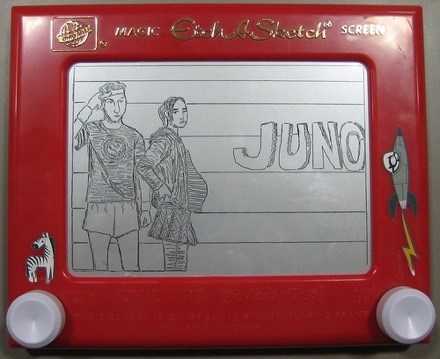 So just added Juno soundtrack, Sun Kil Moon, Sufjan, Pretenders, Dylan, Elvis Costello, even Devendra Banhart (which reminds me to get some select Beatles choices added).